As with exterior painting, I begin by cleaning all surfaces to be finished. 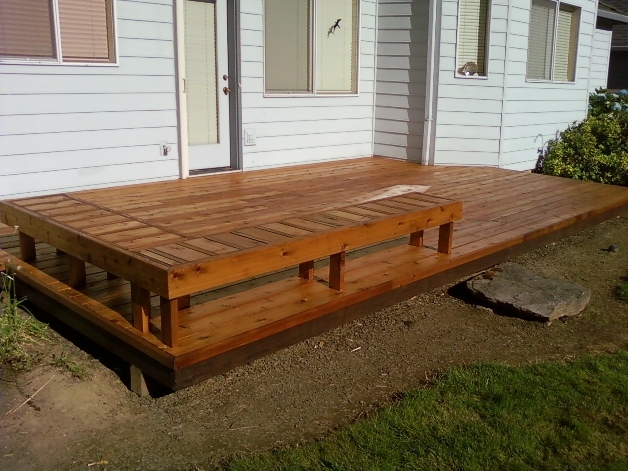 Since decks vary so widely, there are different steps for cleaning each deck or fence. Failing stains can be stripped off in some cases. 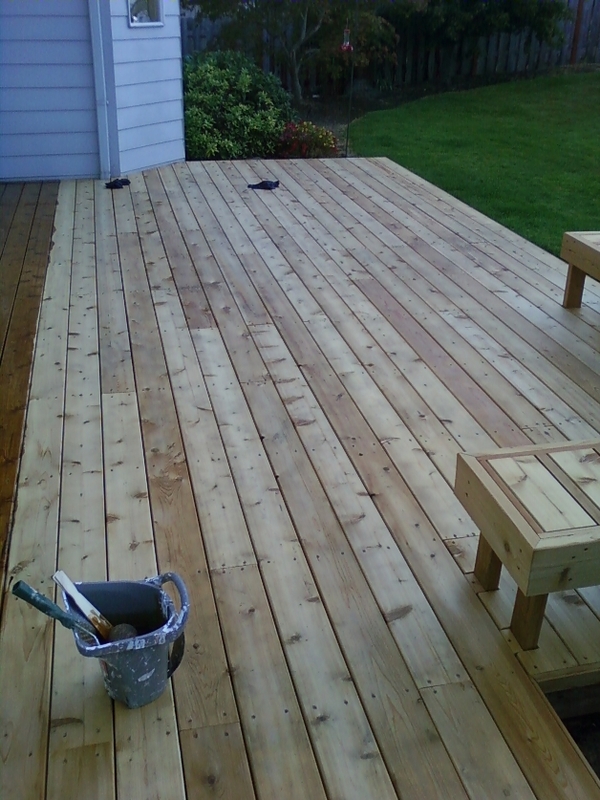 When stripping the finish off is not an option, a wood wash is used to clean the deck. This cleans and brightens the wood. 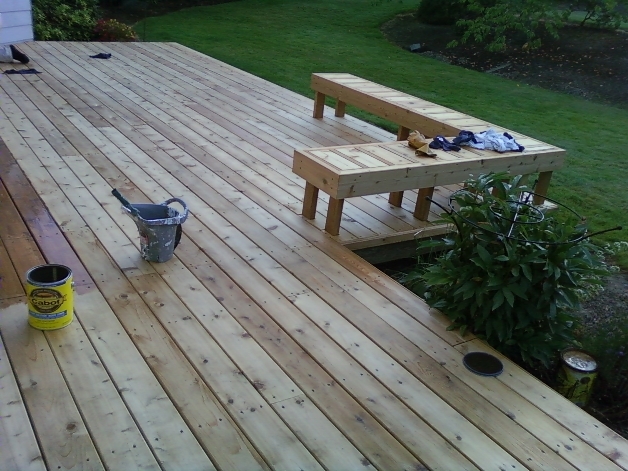 Decks and fences are then allowed plenty of time to dry before I come back to finish the job. 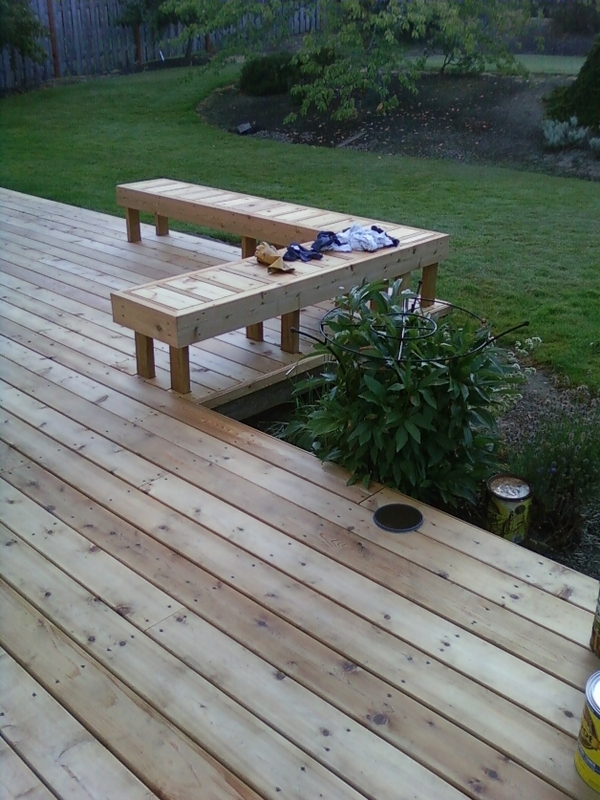 Before we apply any product, nails or screws that are coming up and out of the boards will be driven back down into the wood. 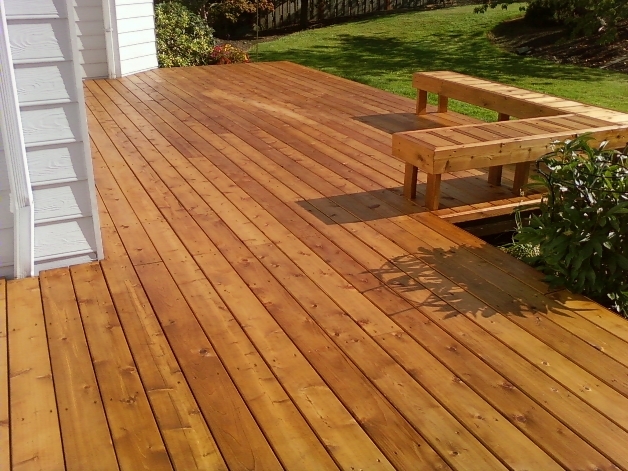 Some decks may need to be sanded after all boards are fastened tightly. Once all these steps have been completed we move on to applying the finish. 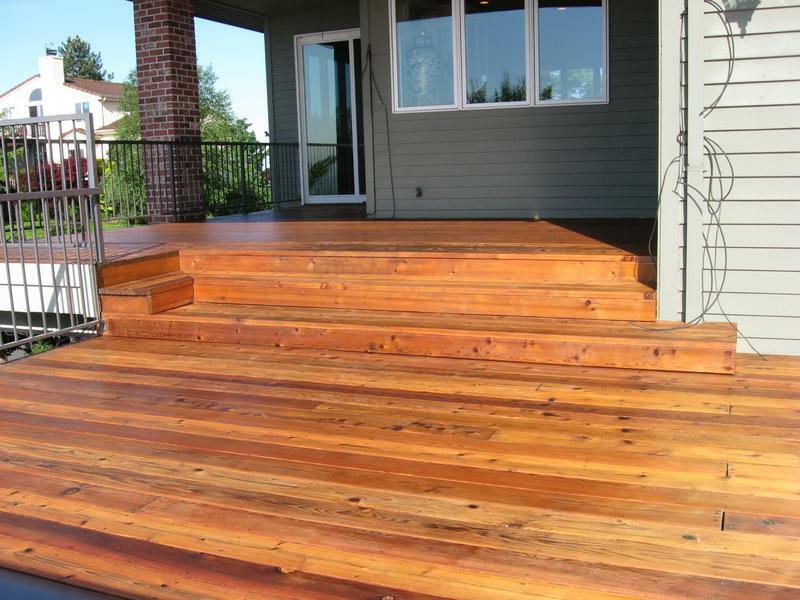 All deck stains and paints are applied in accordance with the manufacturer's instructions. Customers can choose their preference of stain from a variety of colors and transparencies. "Mr. Eaton has a professional work ethic which made me feel confident in my choice. I asked again to have Mr Eaton clean and stain my front porch. Again an excellent job. I would recommend Mr. Eaton to my family and friends without hesitation."